This avocado recipe is so simple and delicious! The cilantro and garlic give it flavor and a kick. The bread you choose makes all the difference. I used an Italian Pugliese, which has a crisp crust, moist dough and great flavor. I love the crisp of the watermelon radishes and the freshness of the sprouts. This is a great simple meal for any time of day! Remove the avocado pit by stabbing it with a knife and discard it. Cube the avocado by cutting the avocado just to the skin but not piercing it. Scoop the avocado into a bowl. Add the lime juice, garlic, cilantro, pepper flakes and salt. Mash the avocado mixture until it is creamy. Cut the watermelon radish into thin slices. Rinse the sprouts and pat them dry. 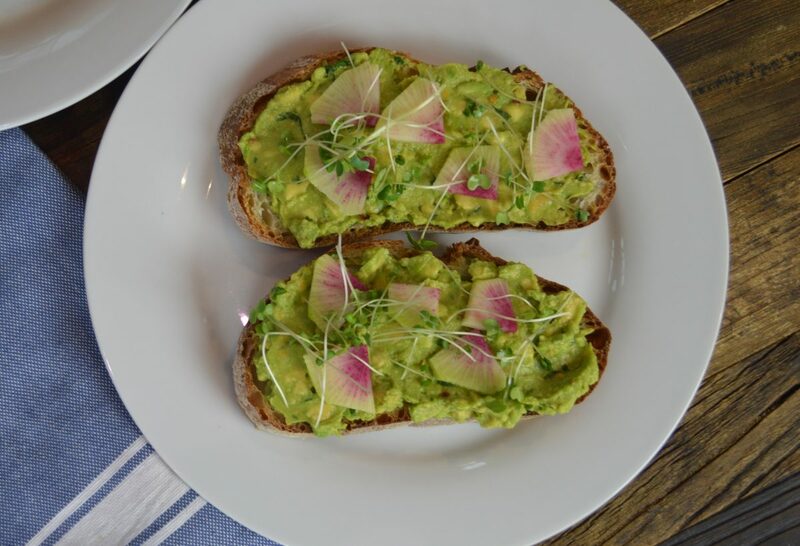 Spread the avocado onto the toast and top with radish slices and sprouts.